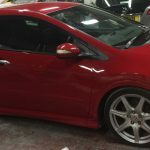 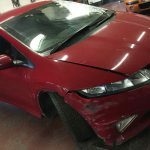 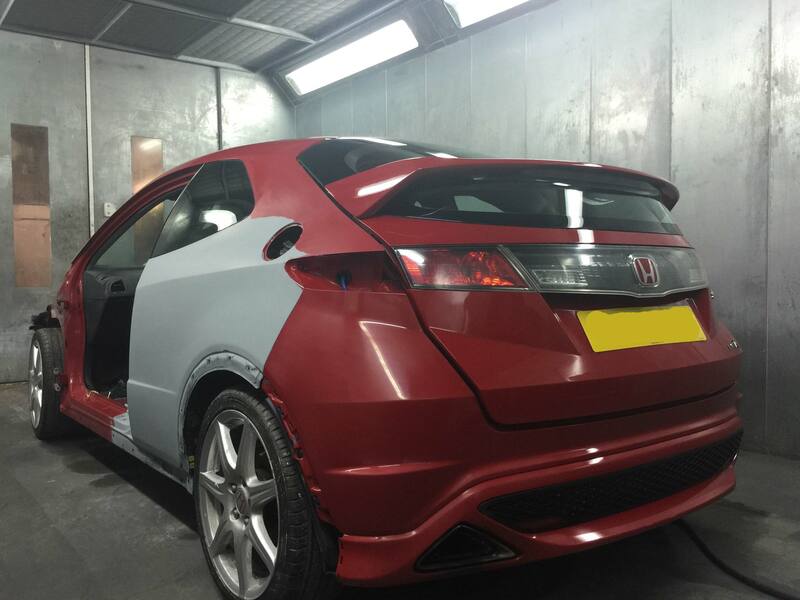 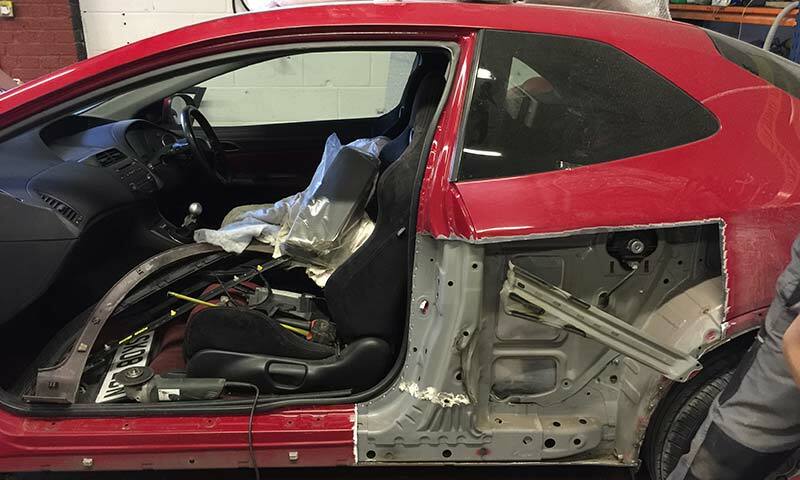 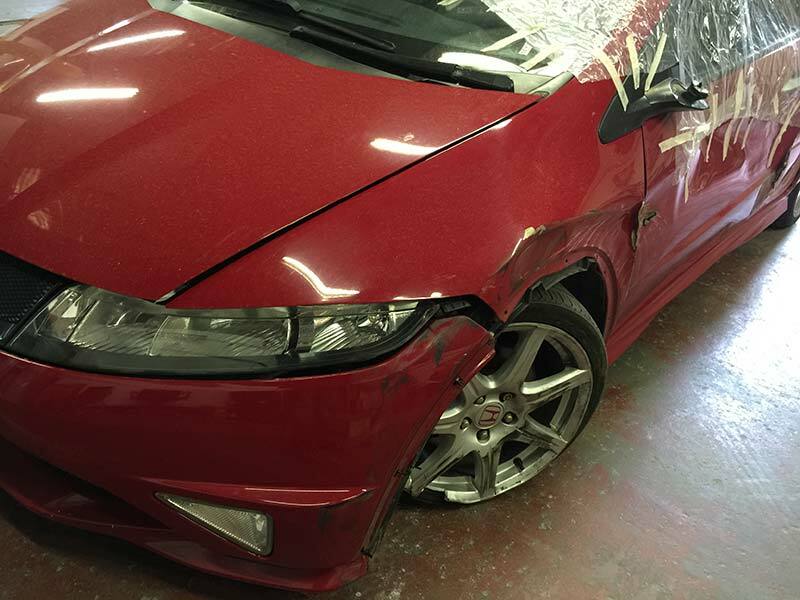 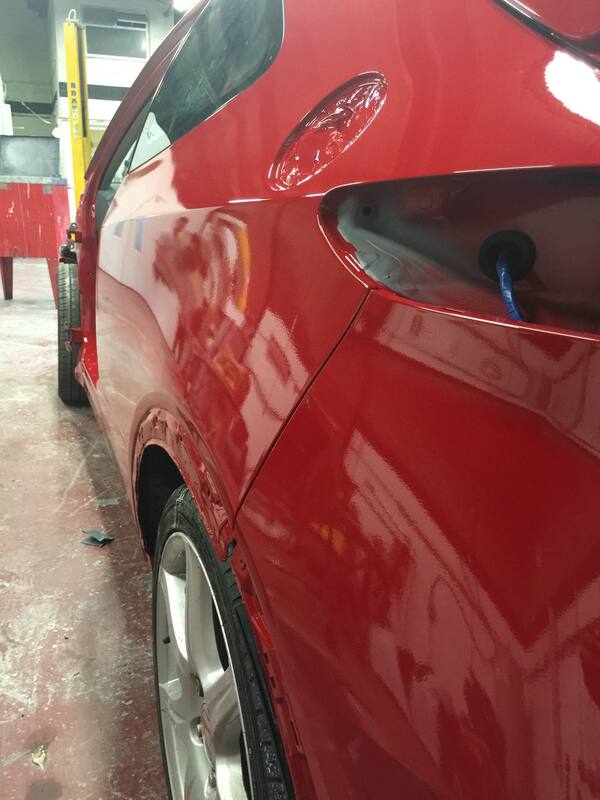 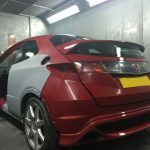 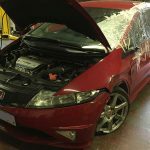 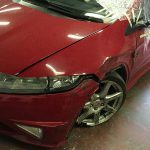 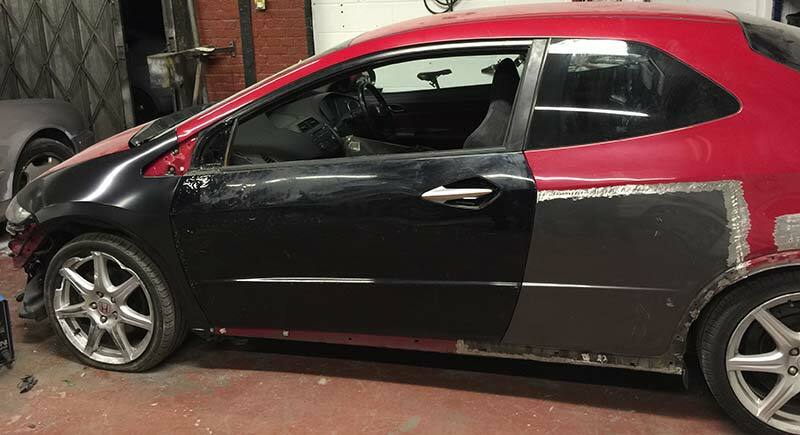 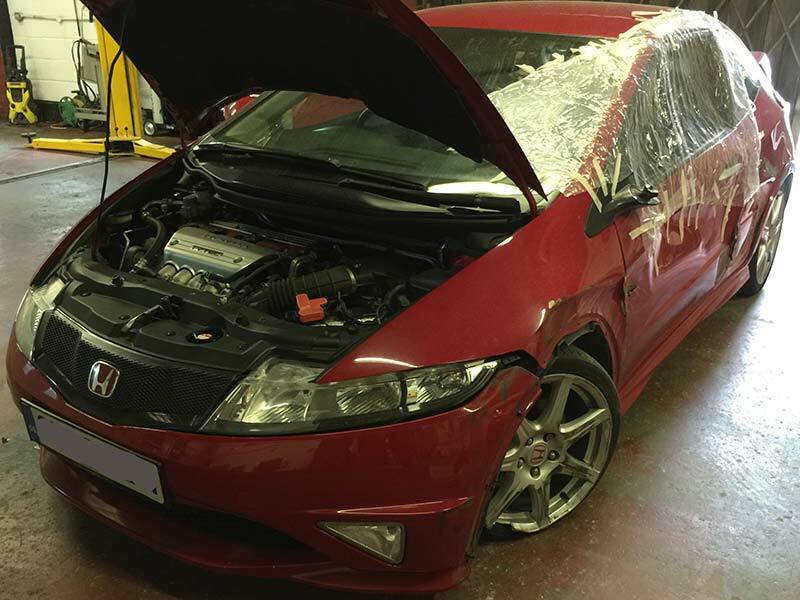 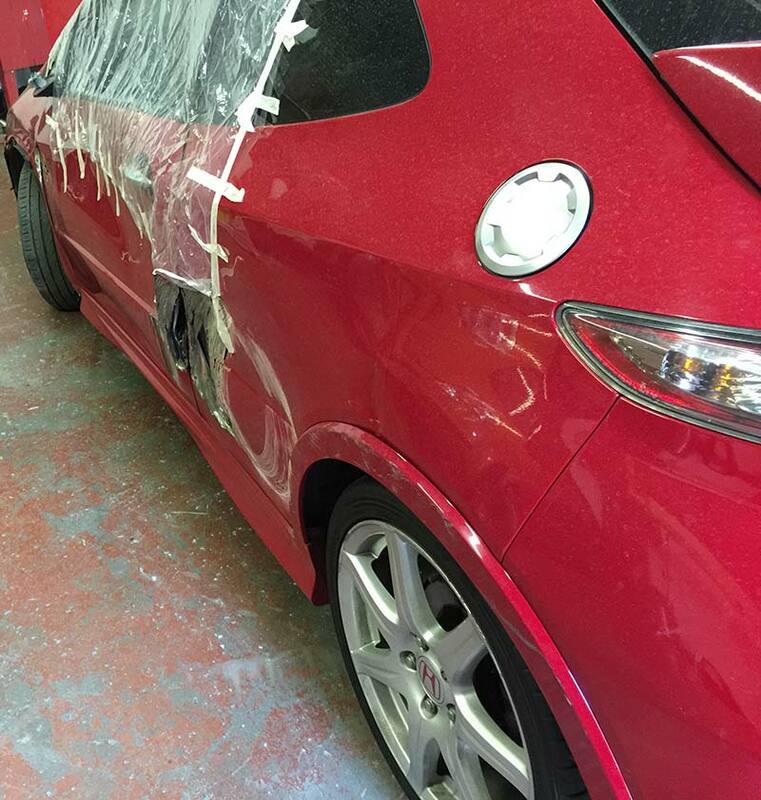 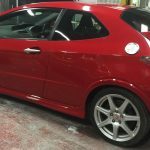 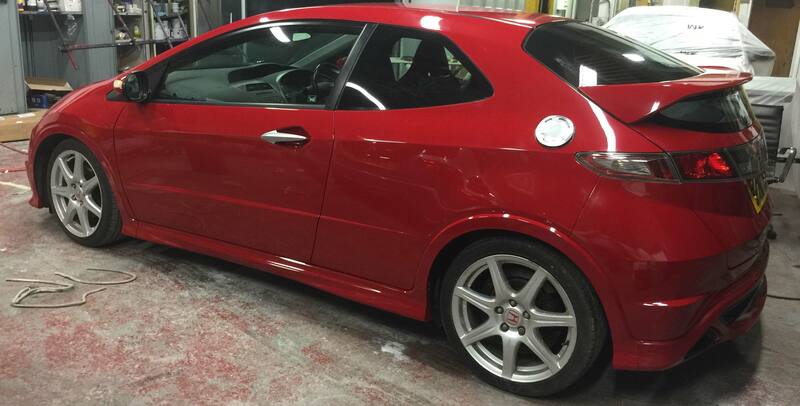 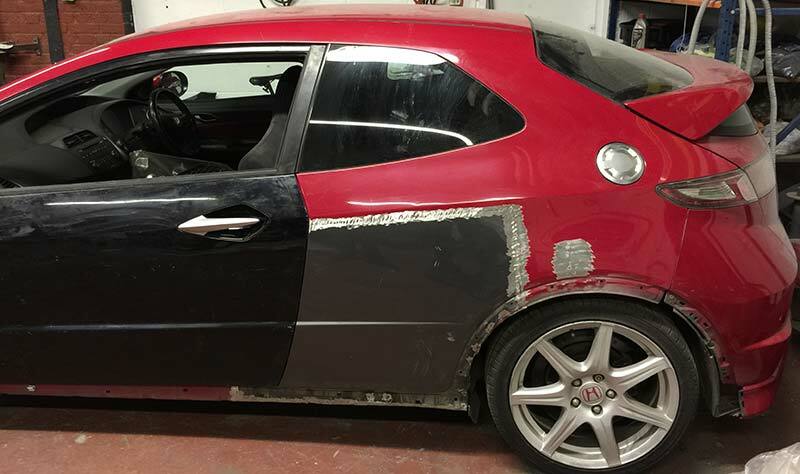 A local trader recovered this Honda Civic Type-R to our bodyshop in London after being involved in a motorway collision with an arctic lorry. 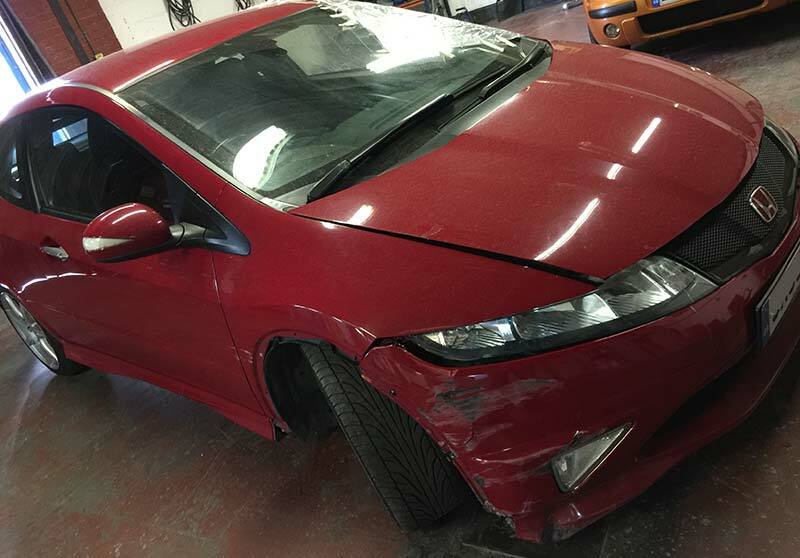 You can see the impact from the lorry wheel which cut into the near-side rear quarter panel and caused significant damage to the passenger side of the vehicle. 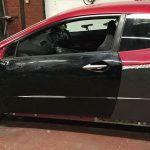 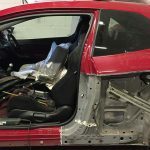 The front bumper and splitter was also damaged and the vehicle wash pushed against the central crash barriers causing scrapes and damage to the driver side as well.We managed to repair the front bumper and splitter and replaced the near-side rear quarter skin, door and wing. 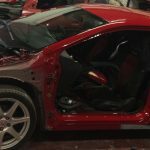 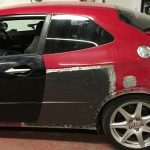 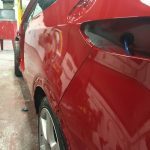 Checkout the images below to see the finished repair.